Win a Hill Performance Model! 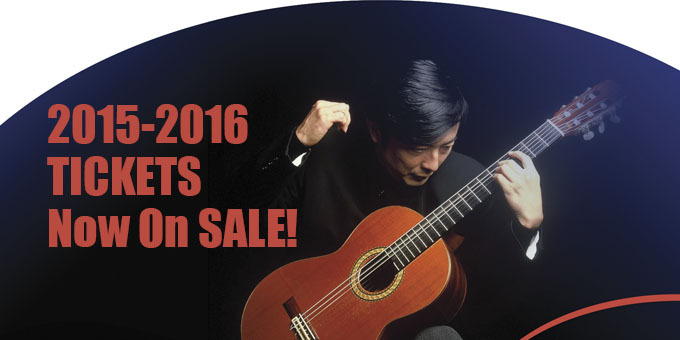 Dynamite Guitars 2015-16 Concert Series is Here! Omni Foundation for the Performing Arts hosts an annual concert series of some of the worlds finest guitarists to the San Francisco Bay Area. Every year they host a raffle with amazing prizes to win, one of them being a Hill Performance Model, valued at $5,500! This Performance model has a double-top soundboard with Engelman Spruce on top and Red Cedar on bottom. It has beautiful Indian Rosewood back and sides and to top it all off a gorgeous French Polish finish. Make sure to put your entry in for the Raffle so you can have a shot at this amazing guitar! Also make sure to buy tickets to a concert, there are some truly amazing artist's this year and we can't wait to hear those dynamite guitars!